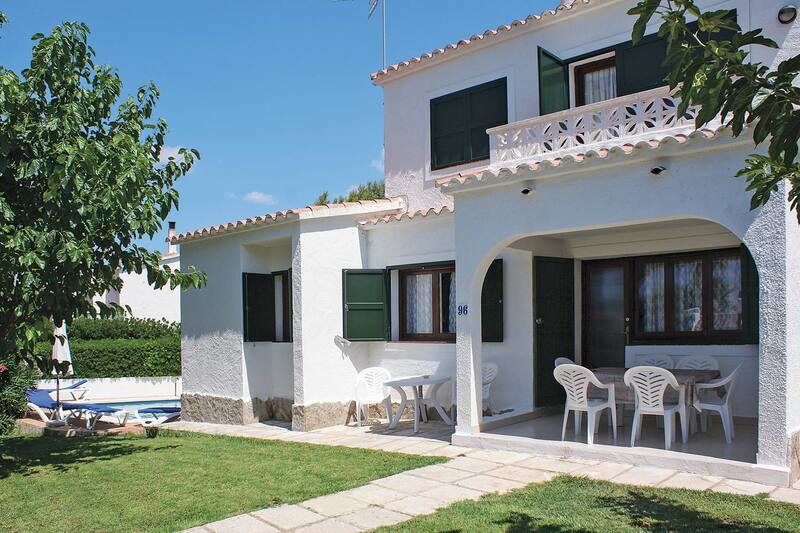 Menorcan style semi-detached villa, located in a complex with 3 more villas, sharing a pool and a garden area. 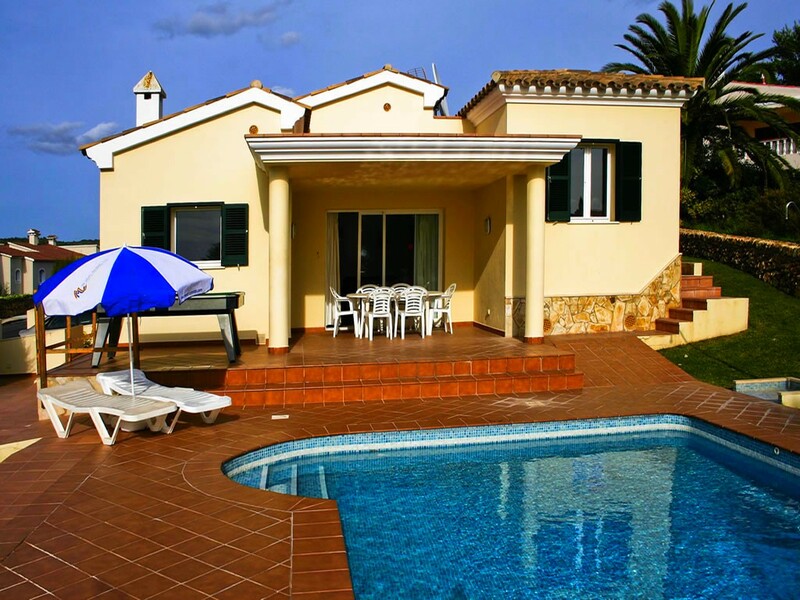 The villa has living room with kitchen and washing machine, 1 bathroom, 2 bedrooms (a double bedroom, and a twin bedroom) and a terrace with sea views. Distance from the beach: 900 metres. 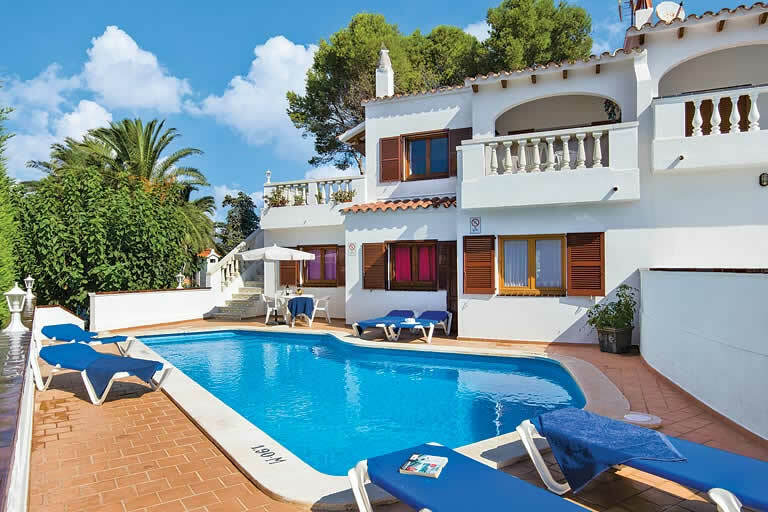 Celia is located in the residential area of Torre Soli, just a short drive, or 20 minute walk, from the resort of Son Bou where there is a good selection of cafes, bars, restaurants, shops and a beautiful long sandy beach which offers beach activities. 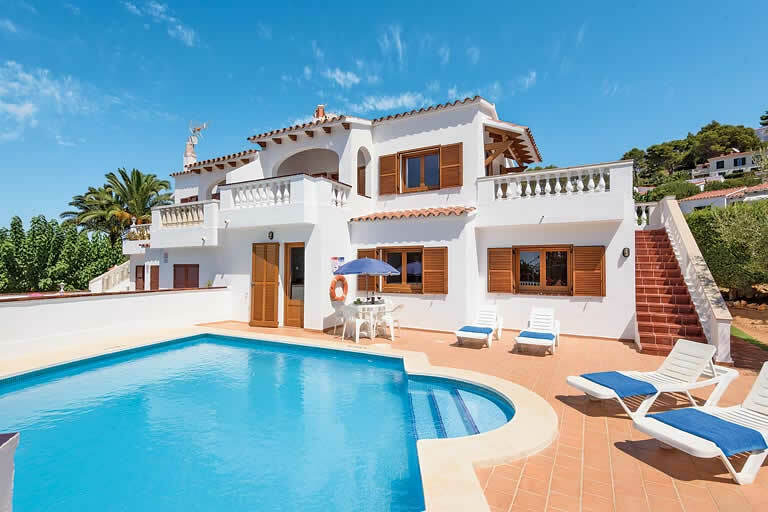 This is a Menorcan style group of four, two and three bedroom, semi-detached villas with excellent sea-views. One double bedroom Two twin bedrooms Livin/dining room. 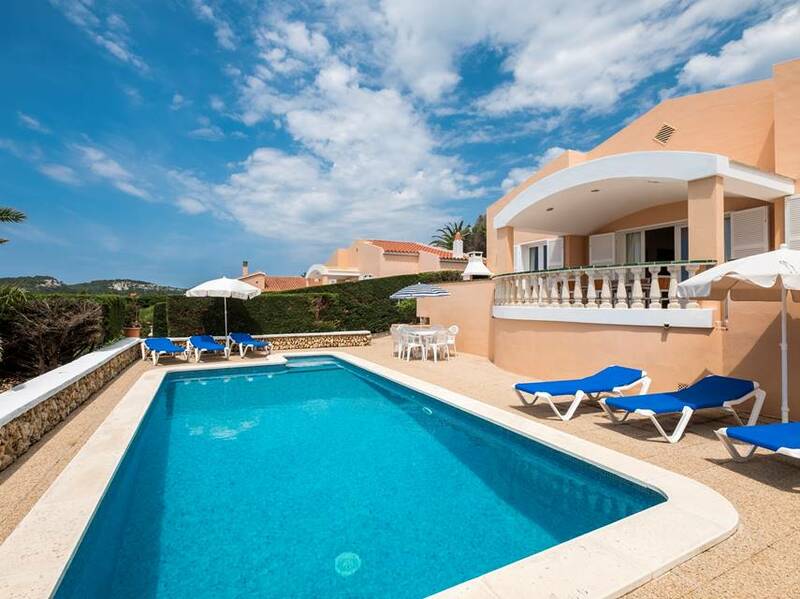 A lovely 3 bedroom property with private pool and fantastic sea views, ideal for those who love watching beautiful sunsets. 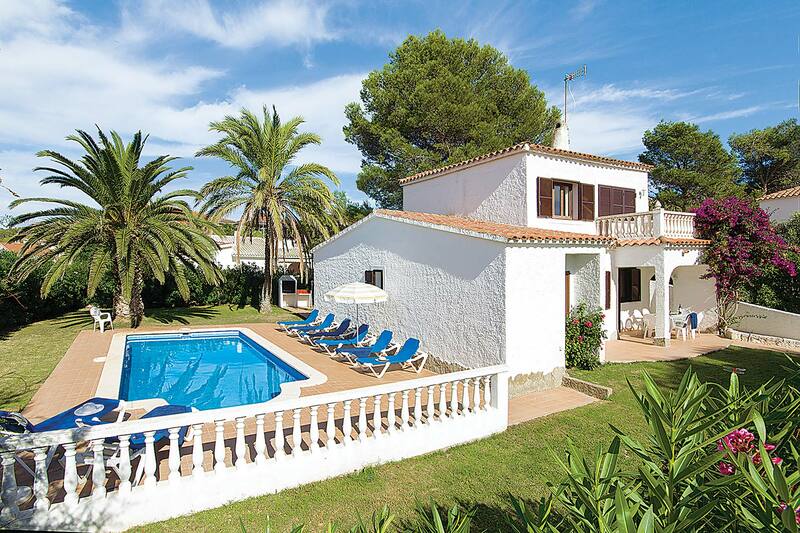 The villa is located in a tranquil cul-de-sac in the upper area of Torre Soli Nou. 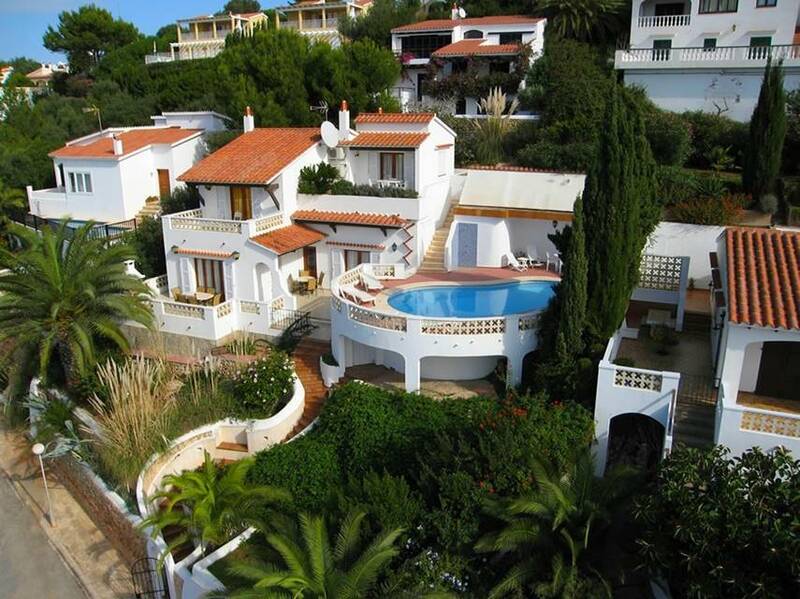 The stunning Villa situated within Torre Soli Nou, in an amazing position offering fantastic views of Son Bou beach. 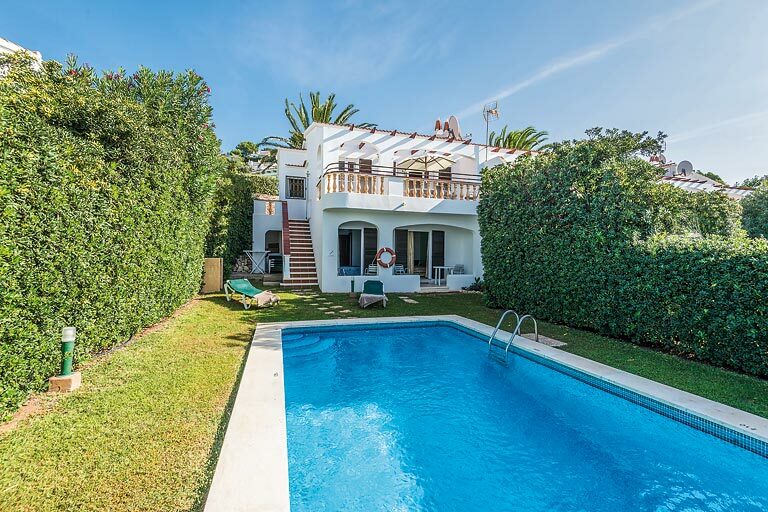 Villa Aries is one of the very popular group of four villas known as the Zodiac Villas, and is located in the area of Torre Soli, Son Bou. Villa Piscis is one of the very popular group of four villas known as the Zodiac Villas, and is located in the area of Torre Soli, Son Bou. 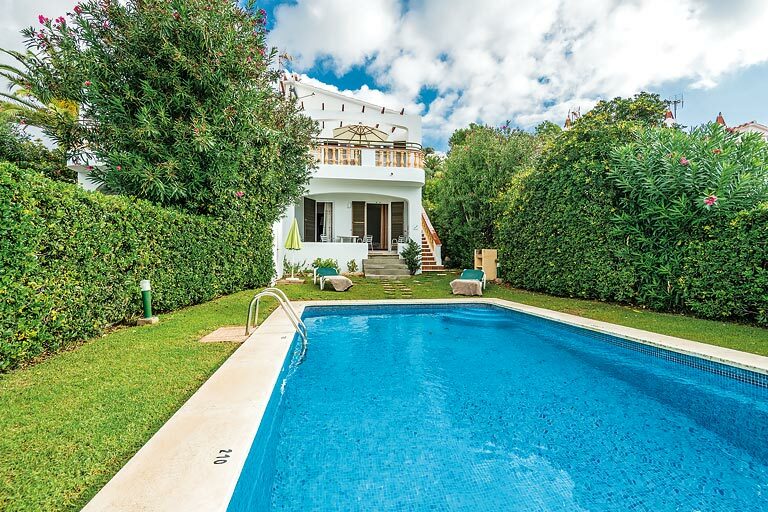 Villa Libra is one of the very popular group of four villas known as the Zodiac Villas, and is located in the area of Torre Soli, Son Bou. 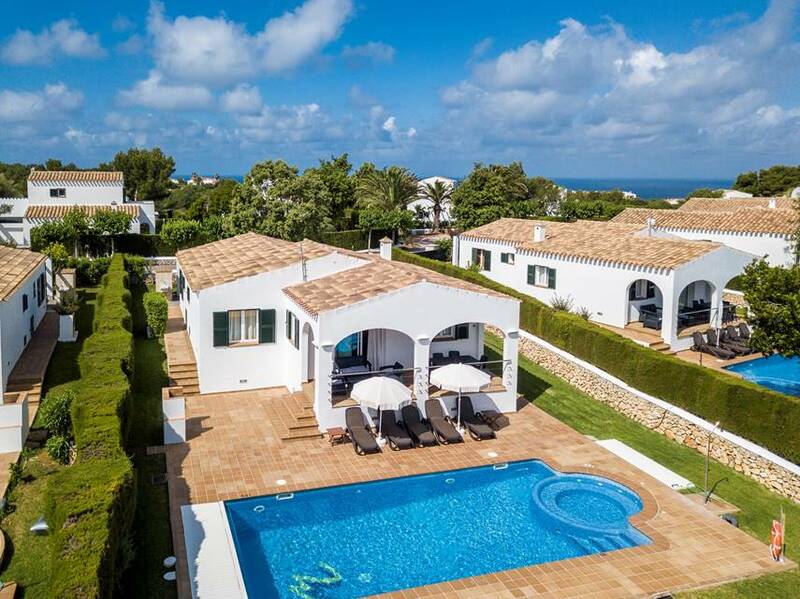 Villa Acuario is one of the very popular group of four villas known as the Zodiac Villas, and is located in the area of Torre Soli, Son Bou. 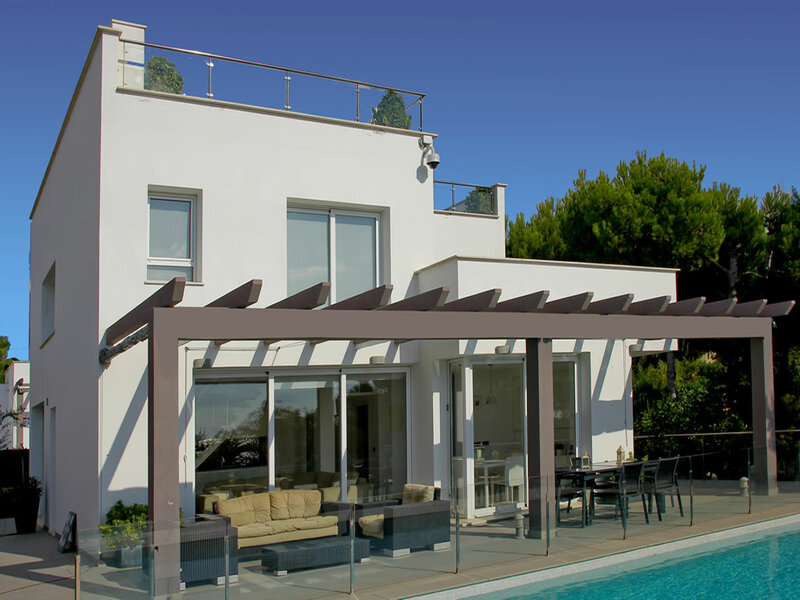 Villa Son Bou 13b1 is in a great location, with restaurants and a small water slide park reachable by foot in five minutes. Villa Son Bou 13b2 is in a great location, with restaurants and a small water slide park reachable by foot in five minutes. 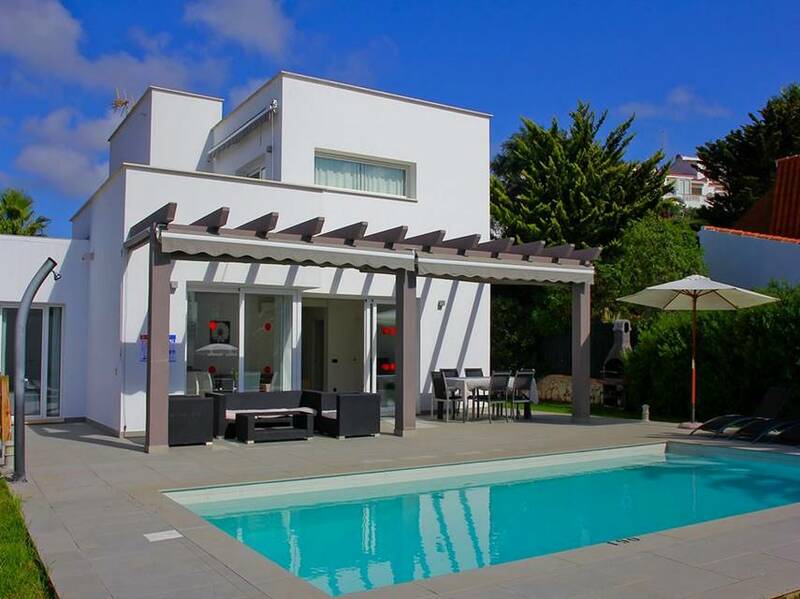 This impressive villa is set in the hillside of Torre Soli, boasting spectacular views of the sea from the lounge and the spacious pool terrace � a perfect location to relax and enjoy the surroundings. 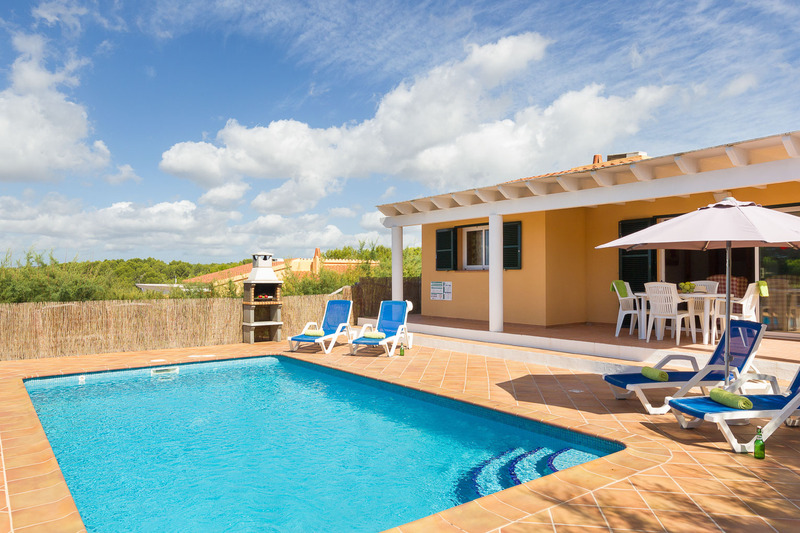 Can S�Oliva is located in a quiet hillside residential area, within a short drive from the resort centre of Son Bou, with its selection of shops, restaurants and sandy beach. 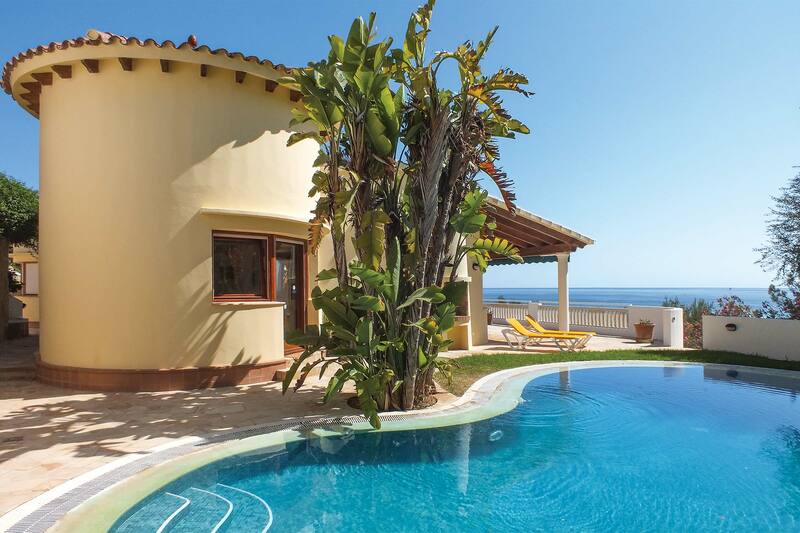 This unique and spacious villa is the perfect place to relax and unwind. 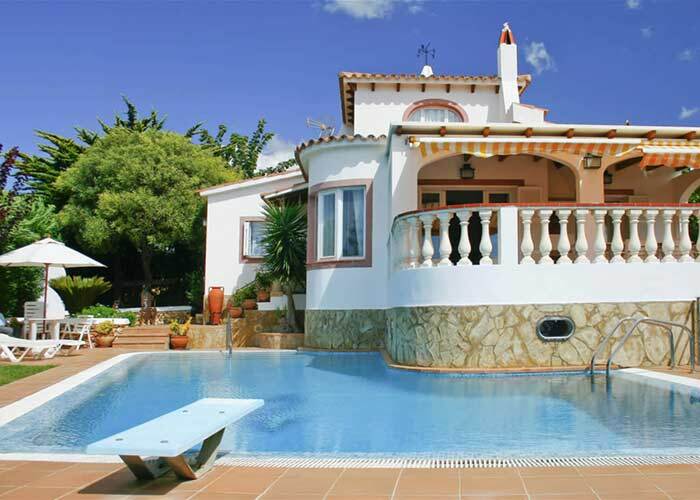 There is a large private pool surrounded by lovely gardens and mature plants, providing a beautiful setting. 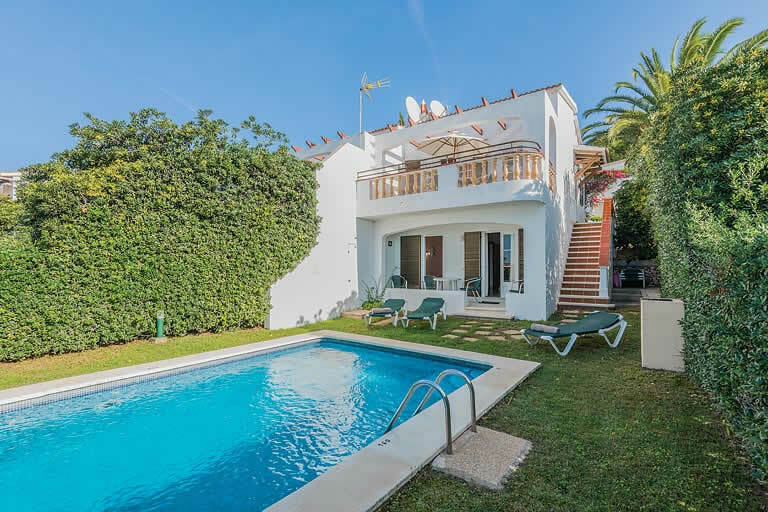 This lovely two storey semi-detached house with its own private gardens and swimming pool is situated in TorreSol� Nou, and enjoys spectacular views of the sea and Son Bou beach. 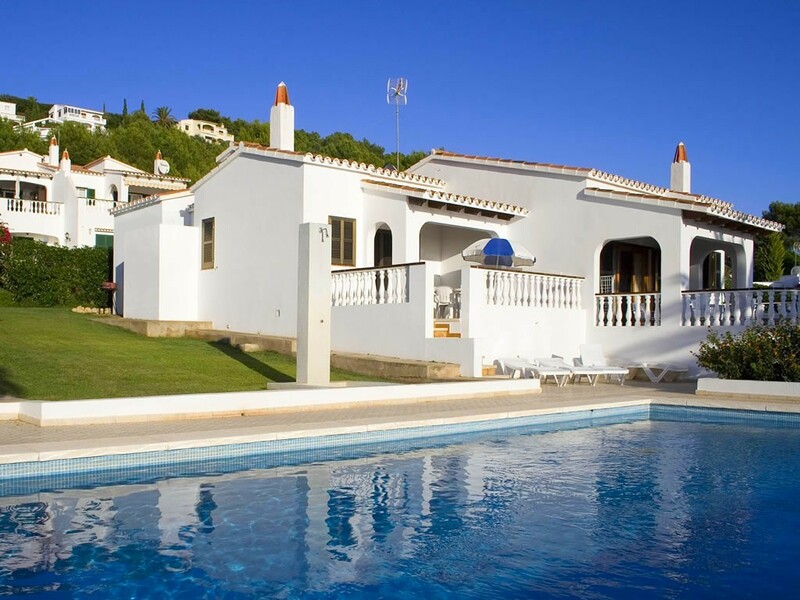 Maria Jesus is an attractive, traditional style villa, located in the area of Torre Soli. Flanked by trees and surrounding hedges, there is a great built-in barbecue to the rear of the property, perfect for dining al fresco in the warm evenings. 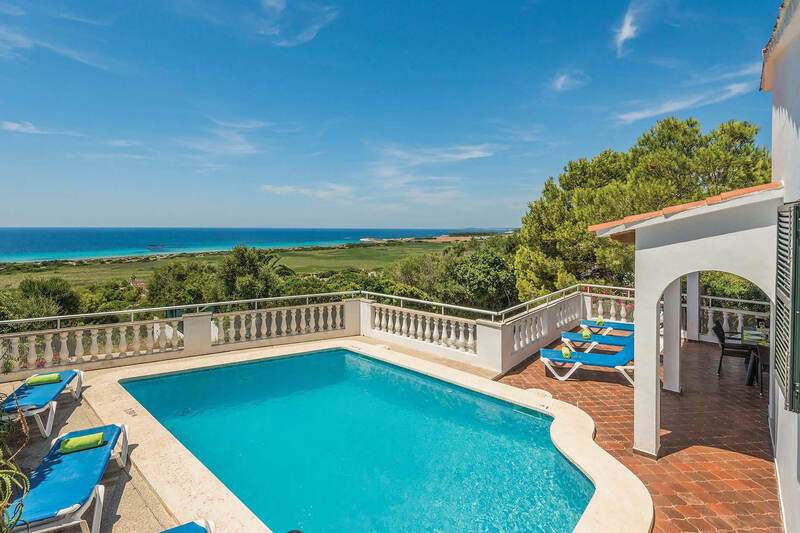 Villa Marlena is a traditional styled villa occupying a privileged position in the much sought after area of Torre Soli, Son Bou. The house includes four comfortable bedrooms - two twins on the ground floor sharing a shower room and a double and twin on the first floor sharing a full bathroom. 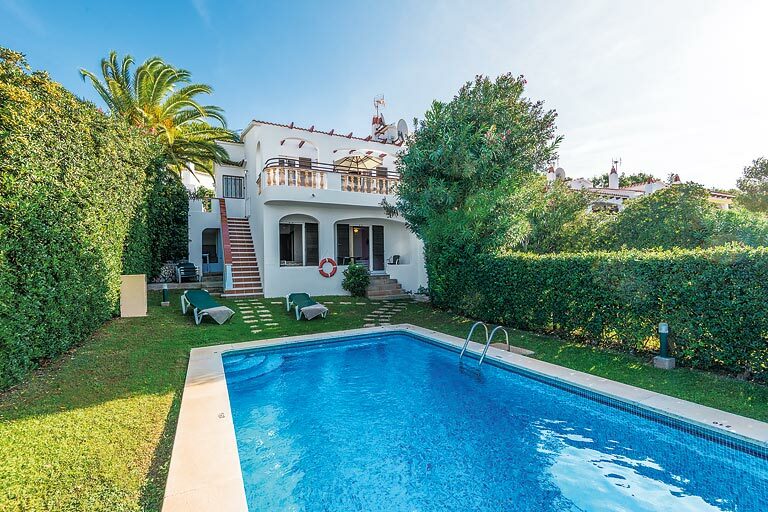 A classic family villa with large pool and terrace, situated in a quiet residential area. Built on three floors, distribution practice places the large living room, fully equipped, and where you get fantastic views, on the second floor.